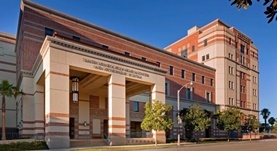 Dr. Airie Kim, one of the top pulmonologists, based in Los Angeles, California graduated from the Baylor College of Medicine. She did a residency in internal medicine at the Boston University Medical Center and a fellowship in pulmonary disease and critical care medicine at the UCLA Medical Center. She has been practicing for more than a decade and is specialized in the treatment of lung cancer and pleural effusions. She has received certifications from the American Board of Internal Medicine in the field of pulmonary disease and critical care medicine. 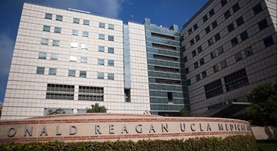 Dr. Kim is currently affiliated with the UCLA Medical Center, Santa Monica, and Ronald Reagan UCLA Medical Center. She has also contributed to three research publications. Dr. Airie Kim has contributed to 3 publications. Isocitrate treatment of acute anemia of inflammation in a mouse model. Kim, A.,Fung, E.,Parikh, S. G.,Gabayan, V.,Nemeth, E.,Ganz, T.; Blood Cells Mol. Dis.. 2015 Nov 26. New insights into iron regulation and erythropoiesis. Kim, A.,Nemeth, E.; Curr. Opin. Hematol.. 2015 Feb 25. A mouse model of anemia of inflammation: complex pathogenesis with partial dependence on hepcidin. Kim, A.,Fung, E.,Parikh, S. G.,Valore, E. V.,Gabayan, V.,Nemeth, E.,Ganz, T.; Blood. 2013 Dec 21.